Hello everyone. 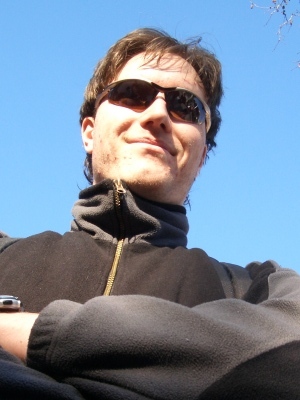 I’m Patrik Gornicz who will be working on the RoboCup project. I am a third year student at the University of Waterloo in their Computer Science program. I have enjoyed their coop program by tutoring CS for two terms. My other two coop terms have been spent programming the MediaGo application for Sony Creative Software. As a hobby I’ve been developing a personal C++ library that is currently being used by a simple 2D physics simulator. If you’re interested it can be found on my webpage here. I’ve been looking forward to the RoboCup project since I signed up. Watching robot teams play soccer should turn out to have some very entertaining debugging sessions. Cannot wait to get started.